A great group for a great week of tennis. 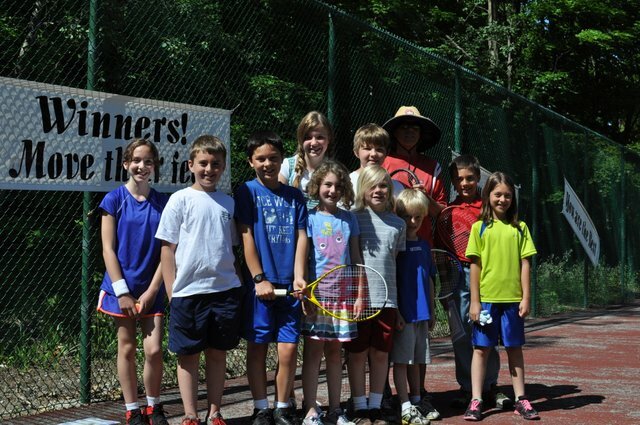 Next week ‘tennis camp’ begins. I am really looking forward to having the mornings to run. Cute group of kids, & I see my 2 favorite`s! Looking forward to seeing them in action, next week. Wow, Drew looks so much like Andy in that photo! Will you run with Hadley or will Andy be able to watch her while you run?